(from Deutsche Welle with AP and AFP) – Sheikh Abdullah bin Ali Al Thani, a little-known member of Qatar’s ruling family, appeared in a video on Sunday claiming that he is being held captive in the United Arab Emirates. 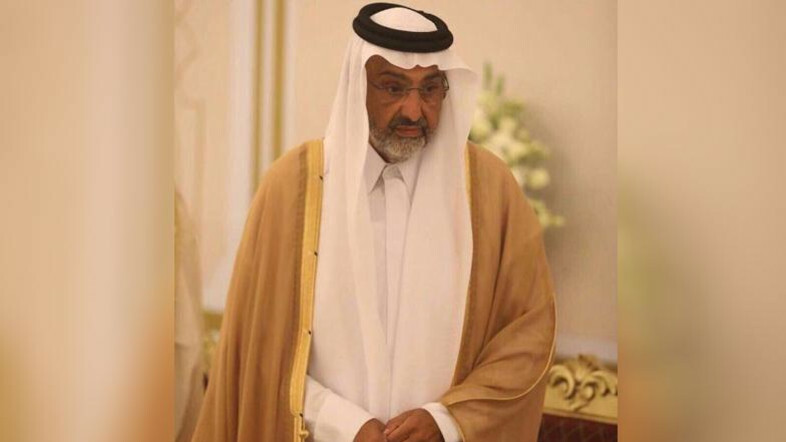 In the video, which was carried by Qatari broadcaster Al-Jazeera, Sheikh Abdullah said he had initially been invited to Abu Dhabi as guest of crown prince Sheikh Mohammed bin Zayed Al Nahyan. However, an official from the UAE Foreign Ministry denied the allegations, insisting that Abdullah had travelled to the country at his own behest and subsequently left. “He is free to move about and has expressed his desire to leave the state, all procedures were facilitated for him without any obstruction,” the official said in a statement released by the Emirati state news agency WAM, without giving further details of his destination. The UAE is one of four Gulf nations to boycott Qatar since last June over its alleged support of extremist groups and ties to Iran. Bahrain, Egypt, Saudi Arabia and the UAE have all cut off land, sea and air routes to the oil-rich nation. Qatar has long denied funding extremists. It has recently restored diplomatic ties to Iran, with whom it shares a major off-shore gas field. “I just wanted to let you know that Qatar is innocent in this and I am being hosted by Sheikh Mohammed and anything that happens to me after this is his responsibility,” Abdullah was also reported as saying in the video. A spokeswoman for Qatar’s Foreign Ministry said in a statement that Doha was closely monitoring the situation. “The state of Qatar observes the situation closely, and due to the total severance of ties with the UAE it is difficult to clearly establish the circumstances surrounding the situation,” Lulwa al-Khater said. Following the Gulf nations placing a boycott on Qatar, Sheikh Abdullah emerged as an unlikely mediator, having met on several occasions with Saudi Crown Prince Mohammed bin Salman. During their first meeting in August, the two discussed temporarily reopening the countries’ land border to allow Qatari pilgrims to make the Muslim pilgrimage to Saudi city of Mecca. Prince Bin Salman subsequently answered Abdullah, although Doha insisted that Abdullah was in Saudi Arabia on a personal trip and did not represent the government. Saudi-funded television subsequently began suggesting that Abdullah should rule Qatar as an emir in exile, and a newly created Twitter account bearing his name amassed hundreds of thousands of followers. The last tweet, however, dates back to last October and he has not been seen since. Abdullah’s prominent role in the crisis has come as a surprise to many. While his grandfather, father and brother all once ruled Qatar, the royal Al-Thani branch to which he belongs was ousted in the palace coup in 1972. The last position he held in the government was decades ago as head of the country’s equestrian and camel racing federation. Published on January 14, 2018 at Deutsche Welle with wire reports from AP (Associated Press) and AFP (Agence France-Presse). b) Which countries began a boycott of Qatar in June? c) For what reason have these countries cut ties with Qatar? d) What is your opinion of the accusations/denials by both groups?